G3 is quietly gaining some impressive expertise with tech bindings. 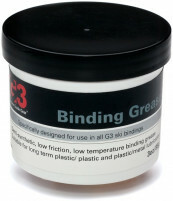 After experiencing moderate success with the uniquely designed Onyx and Ruby bindings, G3 has decided to focus on improving a more familiar design. And improve it they did, with many subtle changes designed to eliminate common frustrations. The small changes add up to a significant jump in overall quality. The ION binding looks and feels polished right from the start. It features a boot guide to help you step in, bi-directional heel rotation, deep snow clearance channels, and powerful brakes. G3 also beefed up the platform compared to the competition, with wider toe jaws, release values that range up to 12, and a wider mounting pattern. All this adds up to a binding that could become the default choice for skiers who have earned their stripes at the resort and are now looking for their first touring specific rig. Experience the benefits of tech binding uphill performance paired with confidence on the down, minus the frustrations. Color us impressed, which is shiny orange like the ION. QuickFlick heel lifts are symmetric and can be flipped down in either direction. BootStop lets you ram your toe into something and press down, just like alpine binders. Heel piece slides backward as the ski flexes, providing excellent elasticity for a tech binding. Deep snow clearing channels under the toe wings helps prevent unwanted snow build-up. Wide toe jaws grab your boot at a more leveraged angle, reducing side-impact pre-releases. Bi-Directional heel rotation simplifies transitions, freeing your brain for more pressing matters. Impressive rotational lock prevents unexpected mode switches, eliminating a major drag. Brakes with powerful springs offer reliable deployment while being easy to remove. 30% wider screw pattern offers a more secure mount and better power transfer to wide skis. 22mm of fore/aft adjustment lets you use multiple boots while requiring no spacers to set. Higher toe platform and lower heel add up to a lower ramp angle than similar bindings. All screws use the Pozidriv #3 format so you only have to carry one tool on expeditions. Optional integrated crampon system slides under the toe pieces and screws on tight. Update 2015/16: After a successful launch, the ION returns for it's second season essentially unchanged except for a slightly different paint job. Update 2017/18: Still reliably chugging along, the ION is mostly the same. A few inline changes have accumlated to make it even more durable. Update 2018/19: No changes other than packaging. Notes Easiest tech binding to step into. Bottom Line Evolutionary design is darn near perfect. Will these bindings work well with Scott Celeste 2 boots? And if so what size brake would be best for BD Helio 105mm skis? Thanks. Hi Varna, this binding should work well with your Celeste 2 boots. I would suggest the 115mm brakes for the Helio 105 ski. I've been skiing the 10's for about a year and may be interested in the 12's next year (18/19 season). Am I OK to assume the hole patterns for the heels and toes remain the same? Hi Clark, you are correct. The hole patterns will be the same. Hi, I own a pair on G3 ONYX Bindings. Looking to upgrade to the 2017/18 ION 12. Will the mounting holes line up? Or, would I have to redrill the skis? Thanks! Hi Jamy, because we have never carried the Onyx bindings, we do not have the hole pattern information on it. Based on our mounting jig, I'm guessing that they are different hole patterns and you will have to drill new holes. I would suggest contacting G3 for more precise information. Hey Emily, ouch, that's a bummer. Unfortunately, no. We have been trying to get them for quite some time but haven't had any luck. Maybe speak with G3 directly and see if they can do anything, otherwise we can give you credit for the remaining parts. Looking for some advice on the best tech boots for the g3 ion 12 bindings. Im planning on doing more backcountry skiing vs. Resort. Thanks. Hi Zach, the best ones are the ones that fit your foot the best! Please visit our boot fitter for more info. 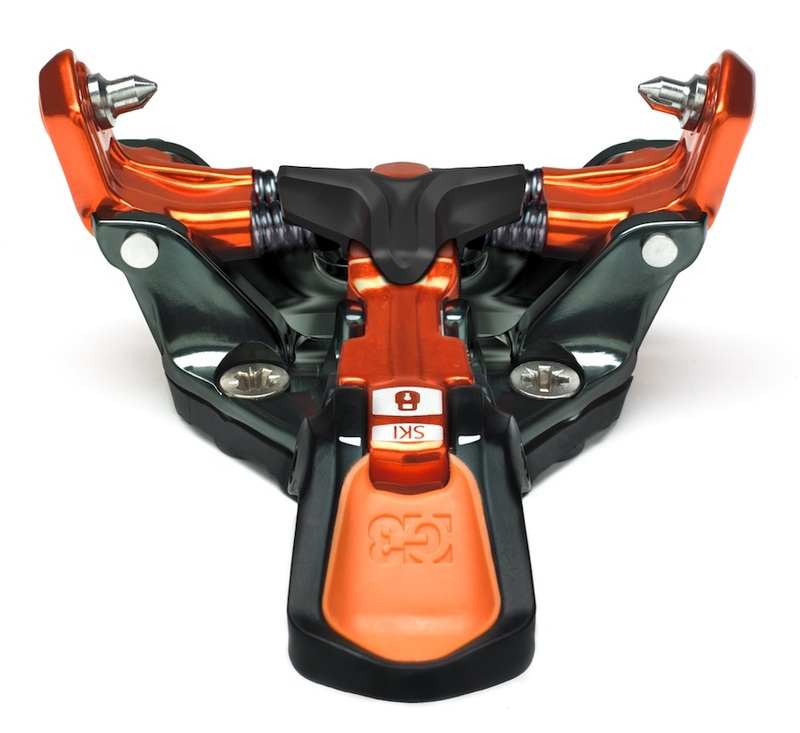 Which brake size and crampon size I have to select for G3 Ion binding to be mounted on Volkl BMT V-WERKS 94? Hi Emre, you want the 100mm brakes and 105mm crampons. I am wondering if G3 solved the problems of the brakes deploying in tour mode and the binding rotating into ski mode accidentally. It seems that if the heel unit is pressed rearward, maybe due to compacted snow between the boot and heel, then the heel unit will rotate or deploy the brake. It is hard to tell from the internet chatter if this problem has been resolved in the 2015/16 version. Hi Mike, G3 made changes to the heel lift design to mitigate this issue for the 2015/16 season. If your bindings are properly adjusted for length, this should not happen.  Hi mbillie1, there should be no gap between the boot and housing. Just slightly touching for a "kiss" gap. Just wondering if you can get the ION toe piece? Hi Jack, unfortunately not separately at this time. So I realize this isn't the type of crowd that will typically use this binding, but I figure I'll throw up a review anyways. For what they are (a fully featured tech binding with brakes), they are an excellent option. A refined Dynafit Radical. I'm 5'10" 180 lbs. I have Ions now mounted on 3 skis. Used 3 pairs over about 60 days this season. So fairly familiar with the product but I haven't abused a pair. I have skied Plum Guides, Speed Radicals, Radical FTs, and Vertical STs in the past as a comparison. Retention: This is where I was hoping the Ion would excel. It's very good for a tech binding, but it's still a tech binding. The toes have a nice strong clamping force. In fact, Wild Snow measured it as higher then Dynafit's. The snow clearing channel under the toes works very well in keeping this area from becoming packed with snow (and it makes it much easier to clear out). I like the idea of eliminating the heel gap in the back and allowing the binding to move as the ski flexes. All of these features should make the binding less prone to pre-release. I hate pre-releases, but skiing with the toes locked all of the time kinda scares me. I lock the toes in consequential terrain, but prefer having some release for most skiing. I did ski the Ions at the resort a few days to get them dialed in. Making fast carves at pretty fast speeds, they were solid. I can remember a tour that ended at the resort and skiing fast through resort crud on the way back home, and they performed very well. I skied them in all types of conditions including firm snow. I am happy with the retention, and I think it's probably better than Dynafit's overall retention, although this claim can't be supported by facts. Just an opinion. I didn't have an issue until the last day of my season. I was maintaining speed over some icy crud because there was a long, flat runout ahead. I went to skid a turn to check my speed, and the next thing I know I am missing a ski and then I'm down. The broken thumb ended my season. So in the end, they have very good retention for a tech binding, but it's still a tech binding. Release: I can only recall 1 other real fall (I tend to ski conservatively overall, especially when touring) this year on the Ions. Buried a tip in some deep crust and the Ions released as I would expect. Uphill: The heel risers worked well for me. Easy to flip up and down. They are still in 1 piece. I never had any issues with the brake locking up to go into tour mode. I do monitor the bindings for icing and clear any ice when I can, which probably helps. I think any problems with the brakes being held up would likely be due to icing. I only had 2 unexpected rotations back into ski mode, but they were both user error when I banged my fat (112 underfoot) skis together on a turn. All in all, they worked well going uphill. Weight: Wild Snow measured about 625 grams with screws. I got 600 g without screws. Comparable to a Dynafit Radical ST/FT, but not superlight. As a comparison, I think Wild Snow measured the Speed Radical at 392 g with screws. I prefer to run my Speeds with an ST baseplate (to reduce ramp - more on that below) and use a B&D ski leash, which adds about 50 g total. So 440 g versus 625 g. I'll take the 185 g penalty for brakes (and some of the other conveniences of the Ion). Brakes/leashes is a personal thing. They both have their merits and fans. For gram counters and ultra-light aficionados, brakes are laughable. I've run them both ways and prefer the convenience of brakes. Leashes are much more fiddly. Leashes are more dangerous theoretically in an avy. I ran my leashes for a period of time with a zip tie fuse, which can break in a regular fall, kind of negating one of the advantages. My biggest reason for liking brakes is that a ski is much less likely to run away from me in an exposed, icy position during a transition. 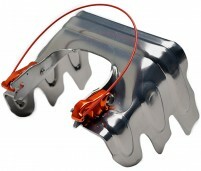 Crampons: The crampon adapter installs very easily. The crampons work fine, just as well as Dynafit crampons IME. On/off is super easy. You do have to buy G3's crampons however. I drilled a hole in them and ran some cord through the hole to make a clip-in point so that the crampons can be carried on a carabiner clipped to the outside of my pack for easy access when terrain is appropriate for them. Ramp angle: I think this is a big advantage for the Ions over Dynafits. Ions have about 11 mm difference between heel/toe, as opposed to 15-17 mm for Dynafits and 18 mm for Plums. I hate the exaggerated ramp angle of tech bindings. Shims are an option but I had mixed results (slop with a Plum guide toe and shims). The ST baseplates work very well as shims for the speed radical toes IME. Features: I think this is where the Ion is a big winner. The toe step in guide works really, really well. Even for an experienced Dynafiddler, it's a nice option at a minimal weight penalty (less than 10 g as I recall). As mentioned before, the snow clearing channel under the toes works as advertised. The heels can be turned and locked in either direction. The flip down risers are easy to use and flip in either direction. All of the adjustment screws are posidrive, so only 1 tool needed in the repair kit. Like I mentioned earlier, a refined Dynafit. Durability: I haven't had any issues so far. Time will tell. It seems reassuring we haven't had a huge problem pop up with Ions in their first season (like has happened with so many other 1st generation tech bindings). All in all, I'm very happy with the Ions. If you want a fully featured tech binding with brakes, these are a great option. Let's hope they hold up in the long term, but so far I have no reason to suspect they won't.